I just discovered how to say quinoa. It’s not “kee-no-uh”. Nope. It’s “keen-wah”. I’ve been pronouncing it wrong all this time! What I haven’t been, however, is doing it wrong. Nope. I’ve been cooking up quite the “keen-wah” dishes recently, Why, you ask? 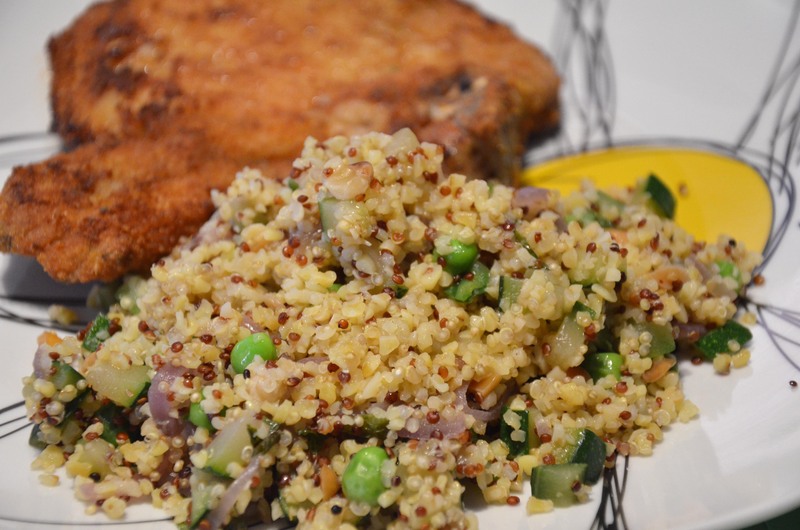 Because it’s been all the rage since 2013, which was declared World Quinoa Year by the UN, because I absolutely adore variety and because it’s apparently quite healthy. It has loads of proteins, minerals (such as magnesium and calcium) and it stays beautifully crunchy in salads and side dishes. Potential. It has loads. 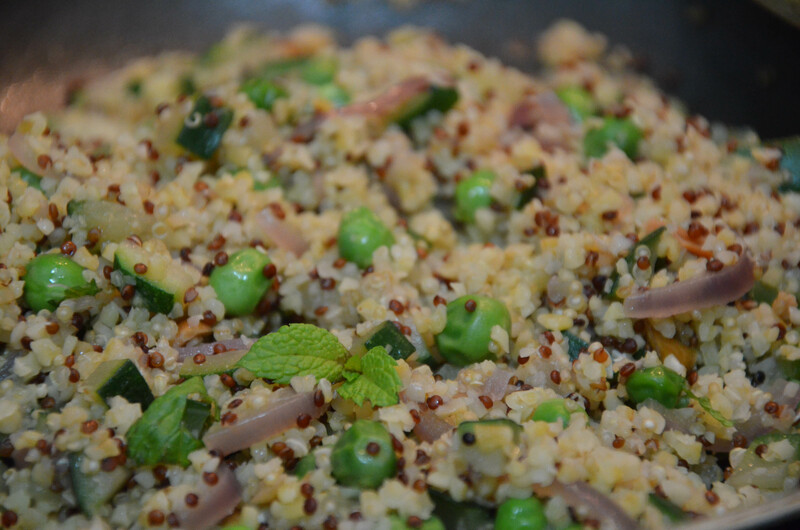 Here’s one of my favourite ways of making quinoa. The first of many. Some of the ingredients. 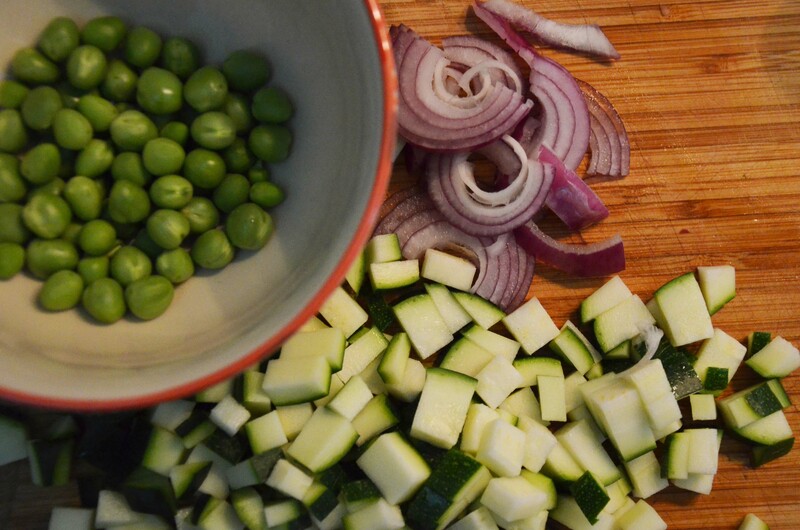 In the bowl: fresh peas, directly from the pod. If you don’t have fresh peas, defrosted frozen ones will do. 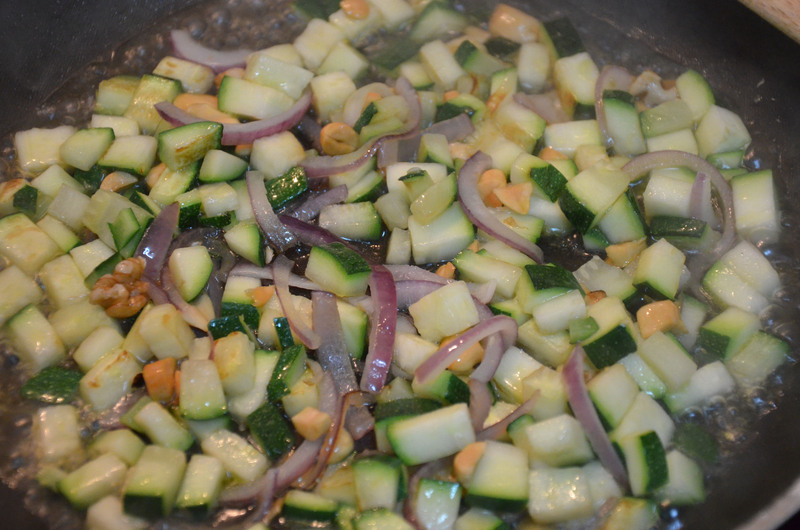 Red onion, and diced zucchini. In a large pan, drizzle some olive oil and add the red onion. Cook for about 3 mins, then add the zucchini. Keep on cooking until the zucchini are soft (but not mushy!). Zucchini call for liquids, so you can add some water or stock if it’s getting too dry. 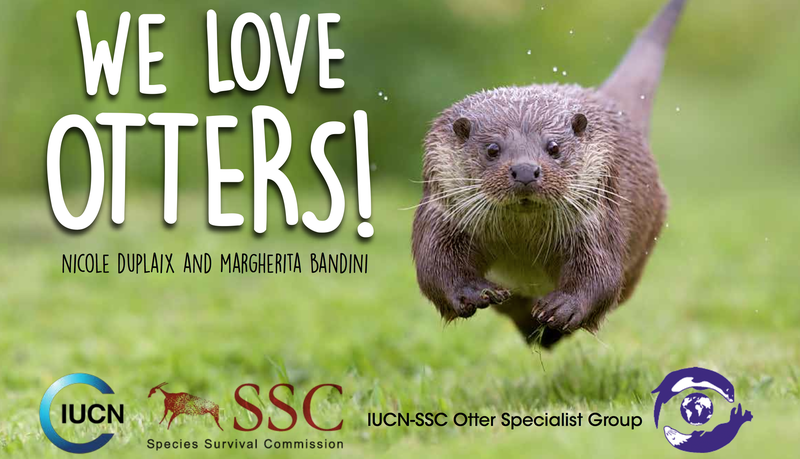 Remember those leftover nuts you had? What were they – peanuts and walnuts? Chop them up and add them. Add them now. Time for the peas. 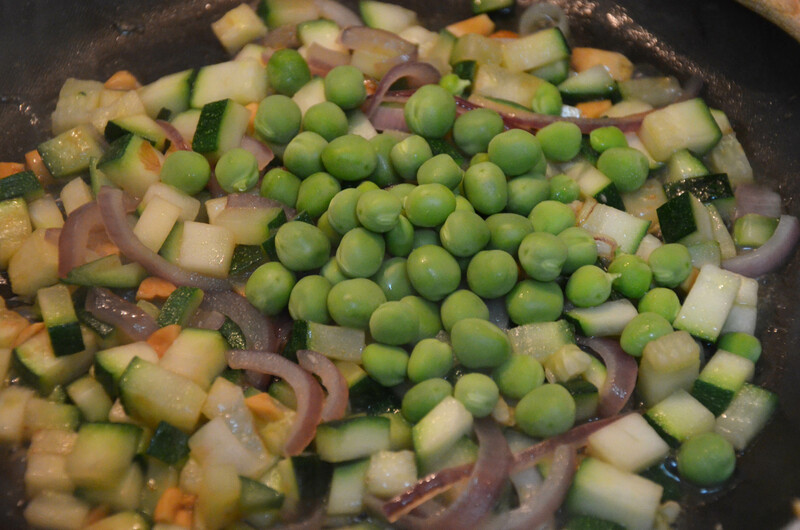 I like mine raw, especially when they’re fresh, so when I added the peas I mixed them in, sprinkled some salt and turned the stove off. 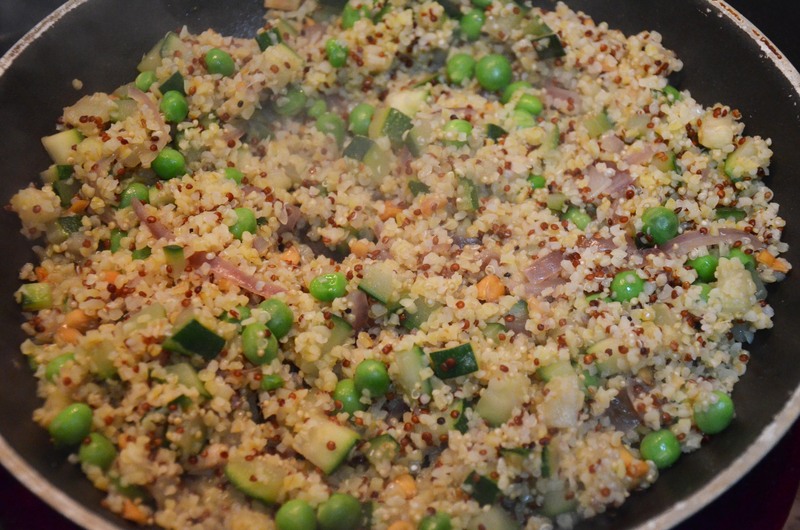 Now you can add the quinoa, that you cooked while you were making the veggies, or maybe before that. Taste for seasoning. And it’s done! Easy but oh so tasty!